The Perspektywy Education Foundation has just published its annual report on Polish Higher Education Institutions for 2018. UWM came ninth among all the Polish universities (22 were classified). The University of Gdańsk is just before us and Maria Curie Skłodowska University with The Catholic University of Lublin just after us. The University of Warsaw ex aequo with The Jagiellonian University are in the first place. Adam Mickiewicz University in Poznań was ranked third. Comparing to the last year and 2016 rankings, UWM’s position has risen by two places. Our University was ranked eleventh then. We have risen even more distinctly in comparison with all of the Polish higher education institutions. This year, the UWM was ranked twenty-seventh together with the Poznań University of Life Sciences. Last year, we were in the thirty-second position, two and three years ago it was the thirty-fifth place. We are ahead of the Medical University of Białystok, Maria Curie Skłodowska University in Lublin and the Warsaw University of Life Sciences. The Pomeranian Medical University in Szczecin and the Poznań University of Life Sciences are just before us. Our particular fields of study are also high in the Perspektywy ranking. Ten UWM fields of study are in the top 10 in Poland. 2nd place – Veterinary Medicine. Our agricultural and forestry fields of study at the Faculty of Environmental Agriculture and Management have also risen into the second position (from the seventh place in Poland last year). 3rd place in Poland (4th last year) – our Landscape Architecture. 6th place – the food and nutrition fields of study and Land Management, which has risen supremely well: by 10 places over a year. 7th place – Special Education. The fields of study related to environmental protection have distinctly reached a higher rank. Those of the Faculty of Environmental Agriculture and Management have moved to the 7th position (from the 12th) and those of the Faculty of Environmental Sciences have moved to the 16th position (from the 17th). 9th place – Theology, no change. The UWM School of Medicine has been regularly climbing to the top. It has reached 14th position and just a year ago it was 17th. The authors of the ranking have also listed the positions that higher education institutions have reached in each of the seven criteria under consideration. 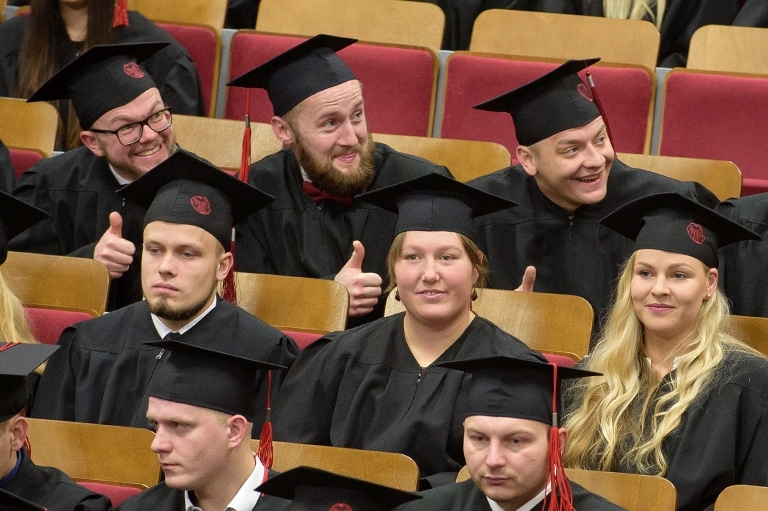 In this respect, UWM ranked 23rd in the prestige category among all the higher education institutions in Poland (previously 22nd), 21st as far as the competitiveness of the graduates on the job market goes (previously 27th). We have ranked 23rd again in the category of innovation. “I would like to congratulate all of the schools that ranked among the first ten schools in Poland and all those that have improved their positions. The rise in the ranking must have been the result of hard work. Thank you all for the effort. I am particularly happy that our graduates’ competitiveness on the job market has improved. It is a proof that our efforts to implement the dual education system, internship and meeting the needs of the economy and the region have proven to be effective and have started bearing fruit”, Ryszard Górecki, Professor, Rector of UWM concludes. The 2018 Perspektywy Ranking shows that the UWM Rector’s strong and consistent encouragement to raise educational standards in all the university’s faculties has started producing effects. The two-position advancement among the universities is a great event. The ranking has once more confirmed that UWM is a stable university with its established, strong market position in many fields of study and that it has numerous strengths. It also shows that its position, once reached, is a challenge to maintain next year.